While the nature and severity of these injuries vary widely, the most serious ones have far more profound impacts than simply causing physical impairments. In many cases, serious boat accident injuries can also cause lasting psychological damage and financial impacts that may change victims’ and families’ lives forever. Successfully navigate the claims and recovery process so victims and families can focus on healing, getting treatment and rebuilding their lives. Have You or a Loved One Been Hurt in a Boat Accident? We are ready to review your potential claim, explain your legal options and help you take the right steps to position you claim for success. Free virtual and mobile consultations are available to anyone who cannot visit our offices. Traumatic brain injuries (TBIs) – Objects striking a head, falling down and explosions on boats can all contribute to TBIs. While milder TBIs like concussions can respond well to treatment, there is a growing body of evidence to suggest that even mild TBIs can have cumulative, lasting impacts. In the worst cases, TBIs can cause irreversible and debilitating impairments, like problems with coordination, mobility, cognition, perception, mood and/or speech. Spinal cord injuries – Blunt trauma, as well as hyperextension, can lead to vertebral fractures and/or pinching or severing of the spinal cord. These injuries can cause nerve damage, mobility impairments and an inability to control bodily functions. In the most serious cases, spinal cord injuries can cause permanent paralysis in the form of paraplegia or quadriplegia. Disfigurement – Scarring and loss of limbs are two of the primary ways that boating accidents can disfigure victims. In many cases, disfigurement can have emotional impacts, like depression. Emotional & psychological injuries – While these impacts can be more difficult to notice than physical injuries from boating accidents, they are no less damaging. In fact, the psychological and emotional damage from boating accidents can manifest as post-traumatic stress disorder, severe anxiety and depression (among other conditions). 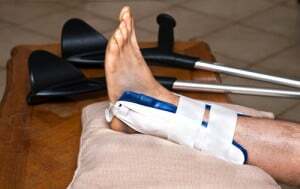 These types of injuries can last for years and require personalized, ongoing treatment. Fatal injuries – More than 700 people in the U.S. were fatally injured in boating accidents last year. Of these, about 80 percent were drownings. In drowning incidents, more than 4 in every 5 victims was reportedly not wearing a life jacket when the accident occurred. In the aftermath of a boat accident, getting immediate medical attention to treat the injuries should be the top priority. Once victims’ health has stabilized, the next essential step to take will be to contact a Houston boat accident lawyer at the Amaro Law Firm to discuss the legal options for seeking financial recovery. Boat maintenance technicians or repair facilities. Though money can never erase the impacts of serious or deadly boating injuries, it can be integral to getting treatment, picking up the pieces and rebuilding lives. When you are ready to recover from a boat accident, it is time to contact an experienced Houston boat accident lawyer at the Amaro Law Firm. Call (877) 892-2797, text (281) 612-8024 or email our firm for your FREE, no obligations consultation and important answers about your rights, your potential claim and how to proceed. The Amaro Law Firm’s history of extraordinary representation and success in boating accident (and other personal injury) claims has earned us glowing testimonials from former clients, as well as 5-star ratings on Google and Facebook.